ISBN 9780786603008. 8.75 x 11.75 inches. This comprehensive book is a facsimile edition of the original collection published in 1883. 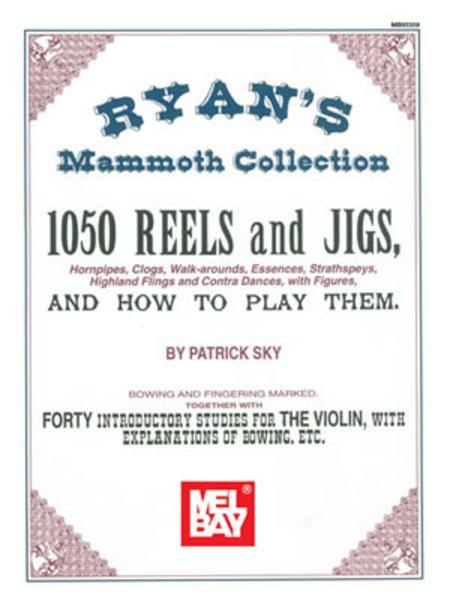 It has survived over the years because it is one of the richest and most interesting of the 19th century instrumental collections as well as a resource for students of American vernacular music. Examining the cultural exchange between minstrel show, ethnic music and even classical music influenced some of the genres of what we now call American music. 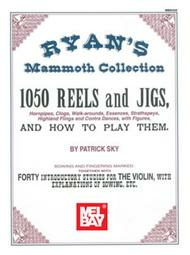 Ryan's Mammoth Collection contains a significant number of reels, jigs, hornpipes, clogs, walk-arounds, essences, strathspeys, highland flings, and contradances that are still played by both traditional and professional fiddlers. A special section containing historical notes and comments is included. Jimmy Linn's Hornpipe Performed by J.L. Johnny Hand's Jig Performed by J. H.